A thousand thanks to John Madden from You Go Pro Baseball for stopping by to share some tips in this week’s AoB EXPERTS interview. In this interview, John shares some tips on how he attacked hitters with his 96 mph sinker, how he teaches long-toss, and what his biggest lesson was while playing with future big leaguers. Make sure you check out this interview because it’s FULL of useful nuggets of baseball wisdom. Make sure you also check out some of John’s links below the video and don’t forget to let us know what your biggest take away was while listening/watching. 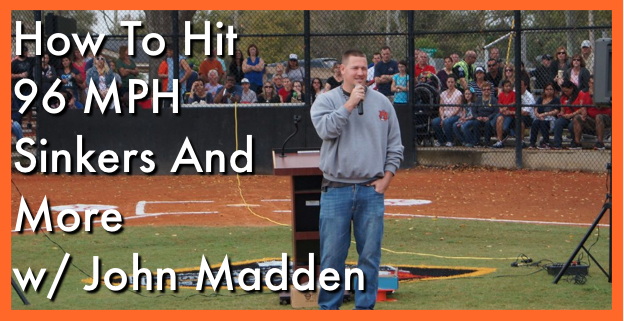 Let us know what you thought of John Madden in the comment box below.